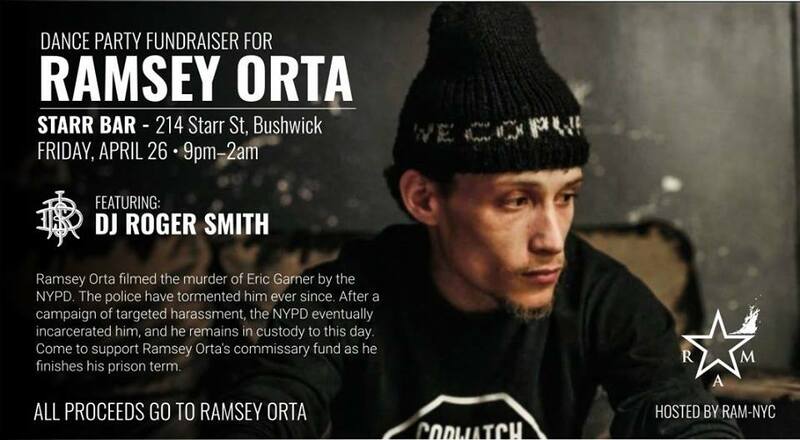 Ramsey Orta filmed the murder of Eric Garner by the NYPD. The police have tormented him ever since. 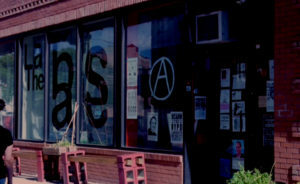 After a campaign of targeted harassment, the NYPD eventually managed to incarcerate him, and he remains in custody still to this day. 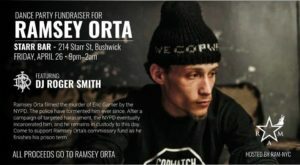 We at RAM-NYC have organized this fundraiser dance party to support Ramsey Orta’s commissary fund as he finishes his prison term. Join us and Dj Roger Smith at Starr Bar!